It doesn’t get much better than this: GE, the longstanding leader in technological innovation, will be providing key interactions with Notre Dame’s Master of Science in Patent Law (MSPL). Among the events scheduled for the year are guest lectures from GE patent lawyers and agents. Mike Gnibus (Director of GE’s Global Patent Operation), and Mark Conklin and Jonathan Thomas are all patent lawyers at GE, and each is enthusiastic about teaching a lecture or two in the MSPL. Frank Landgraff, Senior IP Counsel for GE’s Energy Business, is also eager to have members of his IP team engage with the MSPL. MSPL students will also be traveling to one or more GE sites over the course of the year. While on-site, MSPL students will learn about GE’s patent operations and the importance of patents in GE’s business strategy. GE has expressed that they are always looking for experienced patent professionals to add to their team. GE’s Shelton, CT, based Global Patent Operation has a rich intern program and, according to Mike Gnibus, “is ready, willing and able to provide the robust internship experience that the program’s participants would be seeking.” The Global Patent Operation has offered to make one internship available to a graduated MSPL student – and provide a great, hands-on experience. This collaboration is made possible with the support of GE’s Chief IP Counsel, Carl Horton, and Notre Dame alumni Frank Taylor (1970 BA Government, 1974 MA Government/International Studies; VP and Chief Security Officer at GE) and Hank Policinski (BA ’65 and BS ’66 Engineering). Hank has recently retired from a distinguished career in GE’s IP group, and has been a key player in setting up this collaboration. As GE consistently files over 2,000 patent applications (and around 7,500 globally) every year, we at the Notre Dame Master of Science in Patent Law are thrilled to be in league with a company that is so much at the forefront of invention and innovation. Apply now to take advantage of this tremendous opportunity! Tech patents mean big business, again! Right on the heels of Facebook buying a hefty patent portfolio from IBM, an even bigger deal has gone down—to the tune of a billion dollars. 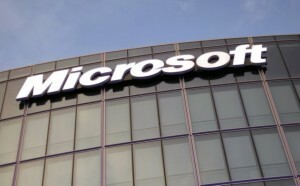 The sum was spent by Microsoft, who won an auction for 800 patents held by AOL. They also have licenses for the remaining 300 patents still held by AOL, and likewise, they have licensed back to AOL the 800 patents purchased. 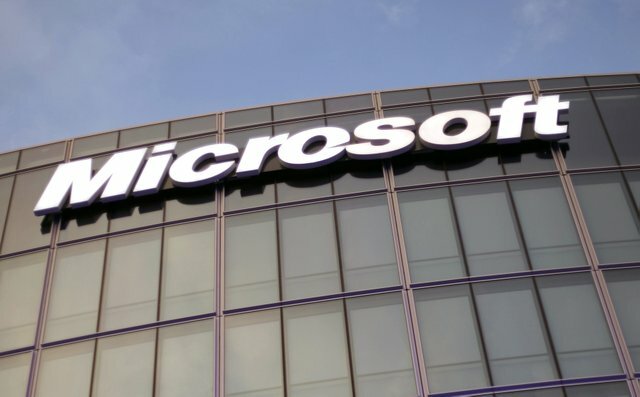 It’s worth noting that Microsoft already has a lion’s share of tech patents, and makes millions from those that are licensed to Google’s Android platform alone. Incidentally, this deal may be good news for Facebook as well, who after being sued for infringement by Yahoo, may have been a target for a similar suit from AOL. But as Microsoft is one of Facebook’s earliest investors, it seems they may not have much to worry about. Just another example of the high stakes, power, and intrigue that is Patent Law! I just returned from a great week in Silicon Valley and San Francisco talking to various stakeholders about Notre Dame’s MS in Patent Law! I talked to alumni, friends and other supporters; they work in places as diverse as top-tier Intellectual Property law firms, world-renowned research corporations, venture capital firms, and small internet start-ups. Everyone was really enthusiastic about this unique program designed to provide presumptive patent agents with the skills and knowledge to succeed in a work environment. The fact that MSPL graduates will have a complete beginner’s toolkit, and will be prepared do real work, is very appealing to potential employers. You may not know it, but patents are working behind the scenes in virtually every part of our lives, including everyone’s favorite social network. In advance of their initial public stock offering, Facebook recently bought a set of 750 patents from IBM, with the apparent aim of bolstering its patent portfolio in defense of a infringement lawsuit brought on by Yahoo. The patent infringements are said to be linked to advertising technologies, as well as customization and messaging features. 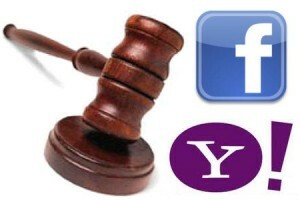 Spokespersons for Facebook say they intend to “vigorously defend ourselves,” as an unfavorable outcome “could be material to our business, financial condition or results of operations.” It is speculated that some of the patents Facebook purchased may actually be licensed to Yahoo and essential to their operation, which would put Facebook in a state of advantage during the pending litigation. Though the dust has yet to settle, this all goes to show that in a world where business is increasingly intertwined with technology, patents are power. And just as powerful as patents are, so is an education that provides the valuable skills required to work with them.